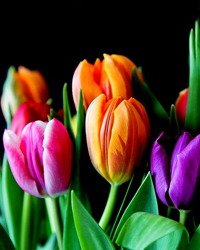 Beverly Ann Hartelius of Kerhonkson, NY died Tuesday, April 9, 2019. She was 87 years young. Beverly was born on November 12, 1931 in Schenectady, NY, the daughter of the late G. Wendell and Florence (Bradt) Gorse. Beverly had lived in Kerhonkson for 44 years and previously lived in Sunnyvale, CA. After graduating from Mildred Elly Secretarial School in 1950 she worked for General Electric for many years before retiring. Beverly is survived by her sons; Eric C. Hartelius and Michael J. Hartelius both of Kerhonkson. Also surviving is her granddaughter Cheyenne G. Hartelius. As per Beverly’s wishes there will be no services. Private memorial services will be held at a later date. Memorial contributions may be made in Beverly’s memory to the Federated Church of Kerhonkson, PO Box 176, Kerhonkson, NY 12446 and/or to the Kerhonkson-Accord First Aid Squad, PO Box 67, Kerhonkson, NY 12446. Arrangements entrusted to the Humiston Funeral Home, Kerhonkson. To send a personal condolence to Beverly’s family please visit humistonfuneralhome.com.